Dr Dries van den Heever was born in Pretoria, where he completed his schooling at Hoërskool Waterkloof and obtained his medical degree at the University of Pretoria. 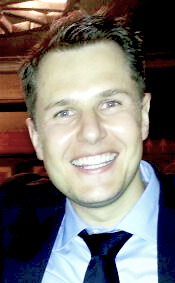 After completing his internship and community service years, he worked in Queensland, Australia in General Surgery and Urology, before returning to South Africa to specialize in Urology at the University of Cape Town`s Groote Schuur and Red Cross Children`s hospitals, under the tutelage of professors Alan Pontin, RD Barnes and John Lazarus. Since completing his Urological training in 2013, Dr van den Heever has attended internationally renowned European training centers, obtaining a diploma in Laparoscopy from the University of Strasbourg, France in the process. He also worked with renowned endourologist Professor Andreas Gross in Hamburg, Germany, and completed a live surgery training course in minimally invasive stone disease treatment under Professor Evangelos Liatsikos in Patras, Greece. He has also performed numerous reconstructive urethroplasties under the tutelage of Emeritus Professor Johan Naude at Eersterivier Hospital, Cape Town, gaining experience in augmentation and anastomotic surgical techniques. He is currently based at Mediclinic Paarl & Mediclinic Stellenbosch, where he offers a complete general urological service, as well as St Stephen`s Cure Day Clinic in Paarl. His special interests are endourology, including renal and ureter stone treatments, and minimally invasive procedures including laparoscopy & robotic-assisted radical prostatectomies. He has published articles in peer-reviewed journals, and has presented at multiple urological congresses, receiving the award for the best presentation at the 2012 South African Urological Registrar Forum. His hobbies include rugby, golf & scuba diving, and he has been known to blow the budget on his love for good red wine.